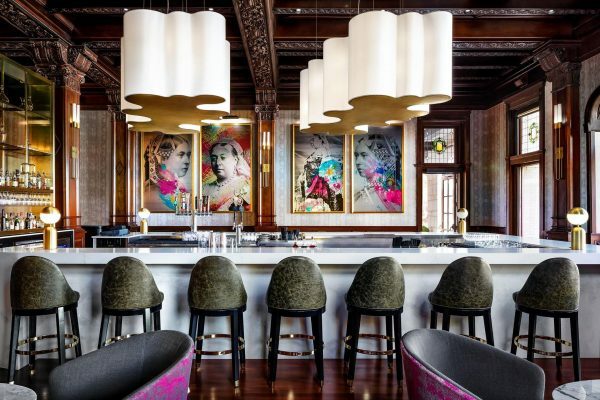 You’d be forgiven for thinking that the resident restaurant at the iconic Fairmont Empress Hotel in Victoria, British Columbia (Canada) is as traditional, antiquated, and, dare I say, ‘mature’ as its home. With its prominent, historic architecture, looming as you glide through the dark waters by boat into the Victoria harbour, the Empress Hotel is quite the time-honoured Victoria landmark. But, whilst the Hotel is affectionately known as the “Grand Dame”, its restaurant, Q at the Empress, may well be its younger, slightly rebellious, nephew. 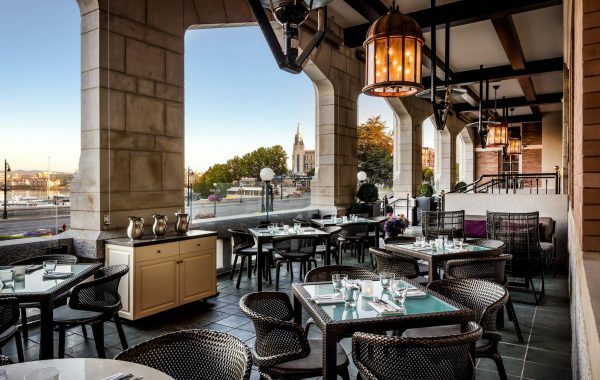 Traditional yet avant-garde, old-fashioned yet risqué, this restaurant is aptly named “Q”, representing Queen and Country… whilst cheekily nudging off seemingly superfluous letters to revamp all ideas of royalty. Located in the most storied room in Victoria, a beautiful high-ceilinged space redolent of England’s finest old vaults, with a large fireplace its interior is contrastingly modern, with plush, bold designs. 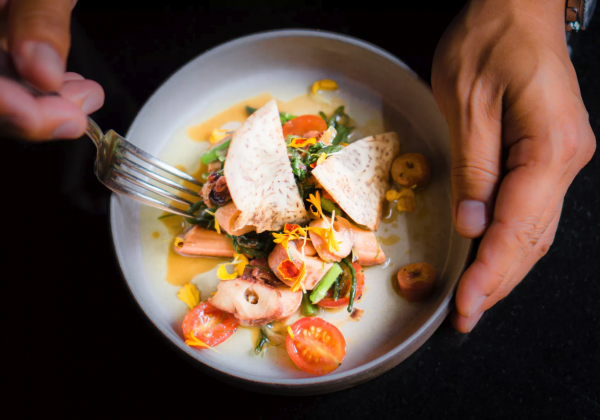 Its fare is similarly at once traditional, featuring local Pacific Northwest cuisine, yet quirky and eccentric, bringing to life a menu that is at once disruptive, tantalising, and exquisite. 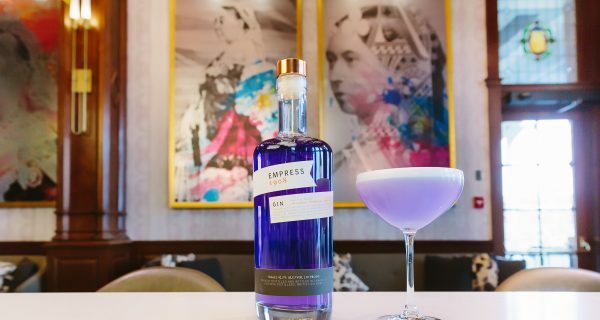 Vast, grand, and steeped in deep mahogany: Q at the Empress has a bar which is equally noteworthy. 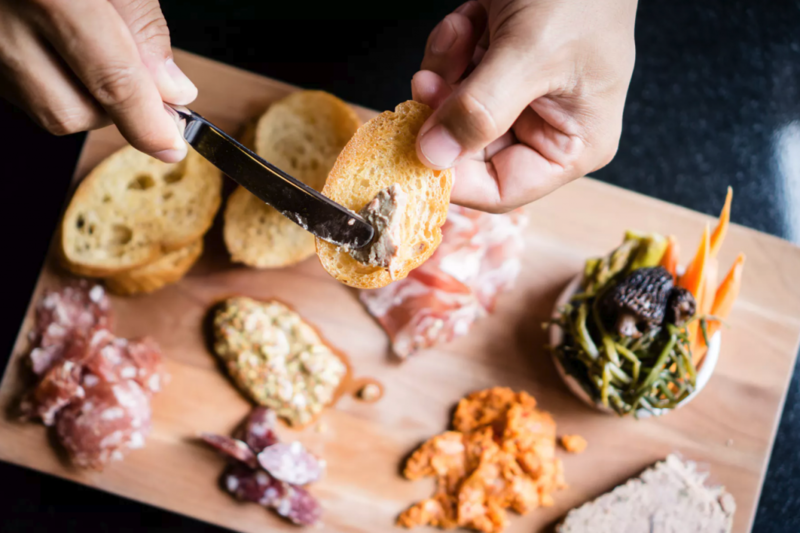 Featuring a selection of some of the best Pacific North Western wines and stellar vintages from across the globe (Q received the 2017 Award of Excellence from Wine Spectator), plus excellent craft beers and cocktails that warrant a visit to the bar alone. We began our meal at the bar, trying two of the Empress’s esteemed cocktails: the Empress Sour, a take on the classic pisco drink made with encanto pisco, egg white, ginger syrup and grapefruit. Decidedly superior to your basic pisco, even if made in the heart of Peru, this was delicious. 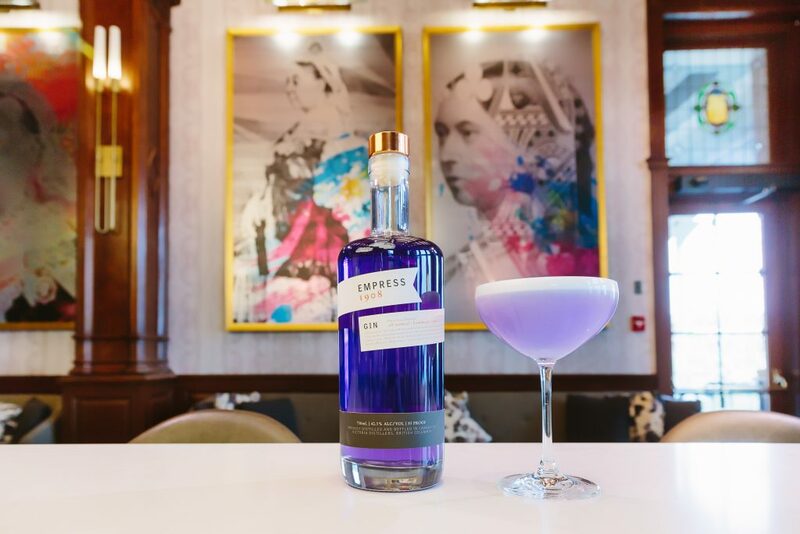 I had the Empress 75, an elegant champagne based blend of Empress 1908 gin, St-Germain, Veuve Cliquot Bru and grapefruit pearls. One of the best classic champagne cocktails I’ve had, this was lovely. Our meal began by the fireplace, at a more private edge of the grand restaurant, where our superb server for the evening Albert told us about our menu and helped select our initial wine. To start, we shared a small loaf of the freshest, crustiest, savoury, melt-in-your-mouth bread that we’d had in a long, long, long time. This ‘Farro and Flax bread’ came with wonderful whipped butter (‘Empress honey whipped butter’), topped with chunks of sea salt, creating a very more-ish start to the meal. The first course, was a glorious bowl of sunshine soup, golden and thick, topped with a drizzle of deep purple. This was, despite the colour, in fact a Golden Beet Gazpacho – a miraculous cold soup of house made kefir for creaminess, fermented beets for the tangy flavour, and empress bee pollen for sweetness. This was truly a superb starter. The head chef, Ken Hookham, came out to tell us about his philosophy. Using only the most sustainable food options, local produce, and aiming to reduce food waste by utilizing products which are fresh but less ‘perfect’, he scours Vancouver Island for the best producers, suppliers, and farmers – all the time, always. It’s his mission to make sure that the ingredients are the best ingredients he can find. And, thus no wonder, that beet gazpacho was so miraculous. To drink, our sommelier paired the beet gazpacho with Spier Head’s 2016 Pinot Gris from Golden Retreat Vineyard, in the British Columbia’s Okanagan Valley. This crispy, tangy white wine, with notes of grapefruit, passion-fruit and orange felt more like a zesty new World sauvignon blanc, with its ripe fruits and elegant acidity. A fresh pairing with the intense beetroot flavours, the combination felt like a sumptuous summer salad in the mouth. The second course was quite literally the best dish we’d both eaten in a very healthy amount of time – if not, perhaps – in all of our time in North America. And it took us by surprise. A deceptively familiar item on the menus of most typical English pubs, this was a seafood charcuterie platter, but one of unexpectedly mind-blowing proportions, featuring beautifully presented salmon jerky, albacore tuna, octopus bacon, candied sablefish and smoked mussels. Topped with shavings of celery, salty sea vegetables and a few chillies, every single item was exquisite – though the candied sablefish was the winner for me. To drink, we enjoyed the aptly named Sea Star by Salish Sea, the 2015 vintage. From Pender Island, of the Southern Gulf Islands in British Columbia, this fragrant white wine denoted white peach, pear, melon and sharp lemon, with a solid acidity and crispness that cut through the rich seafood. The third course we had, was a vegetable dish of Sun Wings Farms Heirloom Tomato Salad, a delightful array of colourful tomatoes with lemon ricotta, cucumber, rye crumble and a basil dressing. Much like the golden beets, the tomatoes were evidently an exceptionally high-quality piece of produce, oozing with flavoursome juices, bright In colour and tantalisingly tangy with their freshness. Our fourth course was the White Wine Braised Pork Cheeks, spread akin to the tomato salad, spread across one side of the plate in an artistic sweep, with Potato Gnocchi, Brown Butter, Peas, Morels and Garlic. Braised to a soft, sumptuous, velvety texture, the pork was delectable. The gnocchi, bursting with home-made relish, were equally delicious, working wonderfully with the garlic sauce. We ate this with the Meyer Family Vineyards Pinot Noir, from McLean Creek Road Vineyard, in the Okanagan Valley, a 2016 vintage that was excellent for soft, ripe berries. Aged in 100% French oak barrels (25% new) for 11 months, this wine showed excellent complexity and a long finish that satisfied the many flavours of the main. Meyer Family Vineyards have been crafting premium wines in the Okanagan Valley since 2006, and appear to be well worth visiting. To finish the meal, we had to try the quintessential Q at the Empress dessert of the Torte. 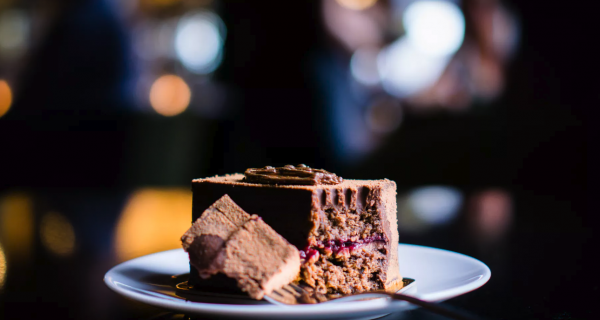 This rich chocolate torte features a cassis centre and handmade custom chocolate developed in France by Executive Pastry Chef AJ Thalakkat. 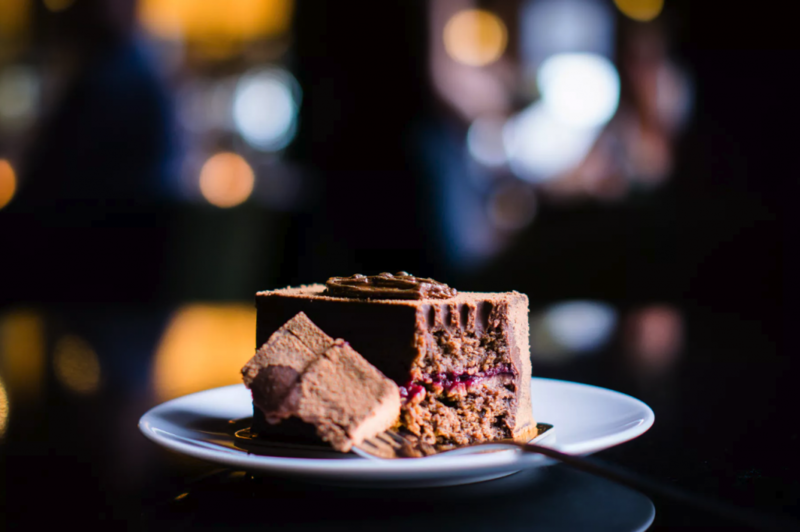 Topped with a chocolate akin to that of Queen Elizabeth II, it was delicious: crispy dark chocolate giving way to an oozing, soft centre, with fruity cassis, it is no wonder that one can now purchase this cake to take home. For the dessert course, we enjoyed an Amaro by Naramaro with ice, an aptly bitter-sweet combination with the dark chocolate. Despite it being late, us being full and our temperaments already quite merry, we decided we didn’t want to leave the Empress quite yet. Feeling as home and comfortable there as we would back home in England, we decided to keep our magical night going and hit the majestic bar one more time. For many more drinks. 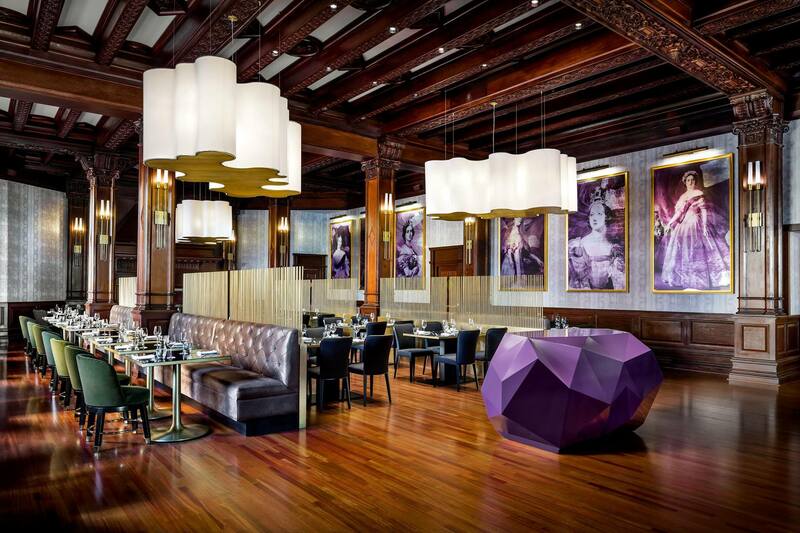 Traditional yet innovative, local yet unfamiliar, grand yet approachable: Q at the Empress is full of surprises. 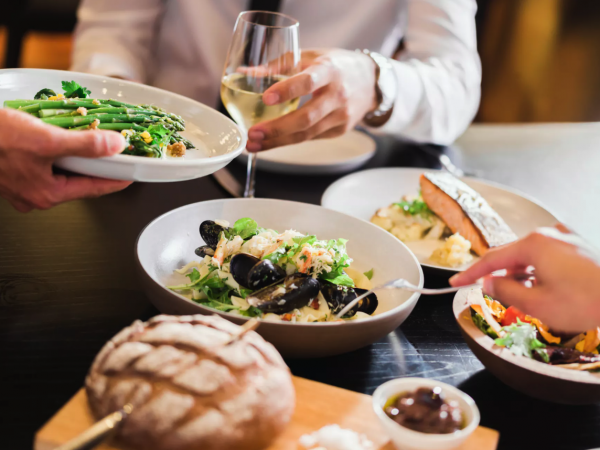 An arguably Michelin star worthy restaurant within an iconic, old-school hotel, Q is most definitely the place to be in Victoria. With all of the magical memories that night has left us, we don’t regret a thing. This is the place to dine when in Victoria.